Why you should consider sixth form college in Nigeria? Your child is about to finish from a top Secondary School in Nigeria which will mark the end of an era and the start of a new one. First, there is the need to congratulate you and your child for the successful completion of secondary education. That been said, you need to know what next to do after Secondary school. Have you considered sending your child to a sixth form college in Nigeria? Year 11 Students graduation at Greensprings School, Anthony Campus. Signing up for a sixth form college. The purpose of this article is to make a case for Sixth Form college in Nigeria and why it should be considered the next phase of your child’s educational journey after secondary school. If your intention is to help your children school abroad, (United States, Canada, Europe and so on) this is for you. What are the benefits of Sixth form college in Nigeria? 1. Adult learning environment - in a sixth form college, students are taught in a conducive learning environment and with less intrusion. Teachers focus on delivering subjects to students in a creative and innovative manner. Compared to secondary schools in Nigeria, this is very much different. The idea of a foundation programme in Nigeria is to provide a setting where students are prepared for the next stage of their life- which is the university. Sixth form students learning in the classroom.
. 2. 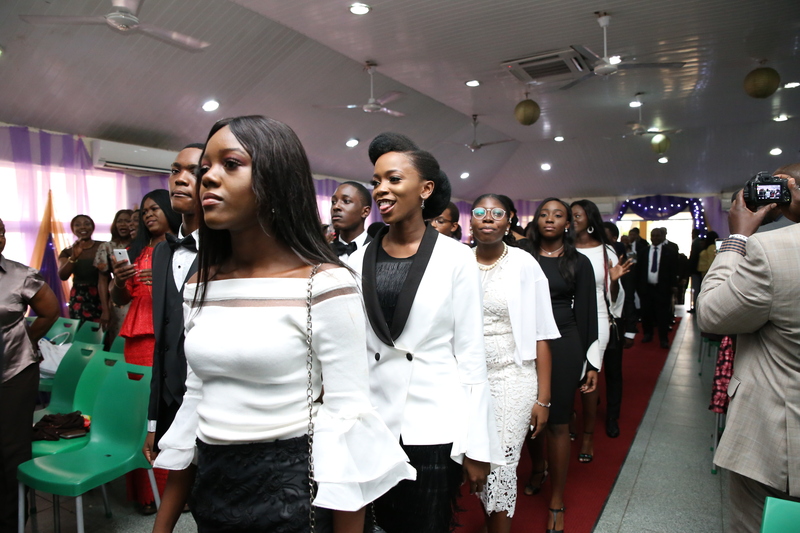 Independence – sixth form college in Nigeria offer freedom to the student which helps to bridge the gap between the University and School correctly. In fact, teachers in the secondary school in Nigeria follow students in making sure they get their assignment done, but this does not happen in a sixth form college. A foundation programme ensures that students experience responsibility and autonomy of youth. For instance, at Greensprings School, students are allowed to study themselves and with less supervision. However, if they require help the school makes provision. Many students who have passed through the school have excelled academically and socially to real life situation. Below is what a past student from Greensprings School had to say; “I recently completed my degree in Biomedical Science with a first class; and as I must say no better foundation and preparation for a rigorous three-year degree than what I received from the IB Diploma Programme at Greensprings School. 3. 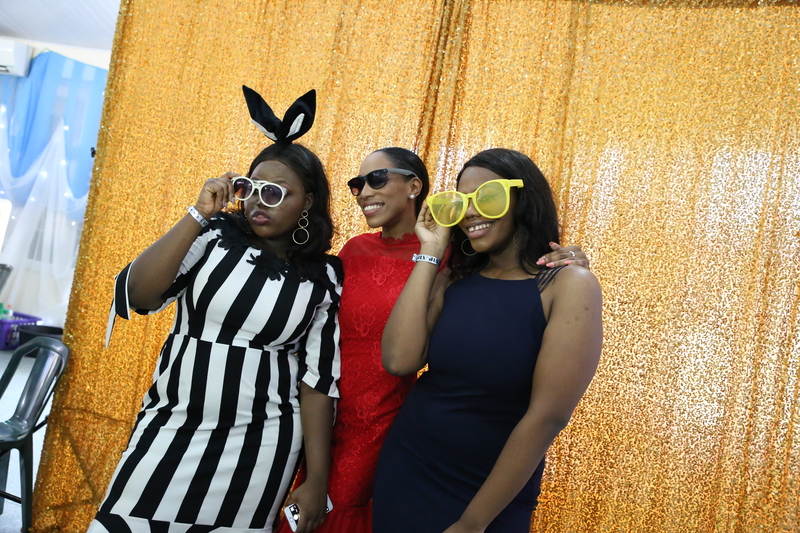 Building Relationships - Aside from academic learning, students in sixth form college in Nigeria also build lifelong relationships with other pupils. Since most foundation programmes in the country are boarding; It is easy for friendships to be born. A friendship developed right from the sixth form college in Nigeria goes a long way in helping people meet their needs and aspiration. 4. Growth & Development – Let’s not forget that in a sixth form college there is the opportunity for growth and development. Since students are with less supervision they learn for themselves. In most sixth form college in Nigeria, there is an excellent balance between freedom and discipline unlike secondary schools in Nigeria. Students have much more responsibility to manage their academic and social lives. We still monitor their attendance, work submissions and exam preparations. Sixth form schools prepare students for university life. Have you heard of Greensprings Sixth Form Programme? Greensprings Sixth form program is a full boarding co-educational establishment that aims to build a value-based community of learners who are hardworking, purpose-driven, self-motivated and reflective. The IBDP curriculum emphasis on the IB Learner profile, as well as the core components of the curriculum hexagon. The program is the right pathway to top universities around the world for students. The IB diploma hexagon is made up of three core components. A Theory of Knowledge class, extended essay and community service activities. Theory of Knowledge — this interdisciplinary course examines how we understand various forms of knowledge from mathematics, historic, logical, linguistic, philosophic, aesthetic, and scientific perspectives. Extended Essay — Students research a topic of their choice within one of the six IB subject groups and then present the results of their investigation in a 4000-word essay. Creativity, Action, Service (CAS) — IB students are active not only in the classroom but in the community as well. Students develop a creative project, take part in an extracurricular activity, and become involved in a community-service project. Through CAS, students can share their special talents while developing awareness, concern, and the ability to work cooperatively. Greensprings School has been able to incorporate this learning into their curriculum. 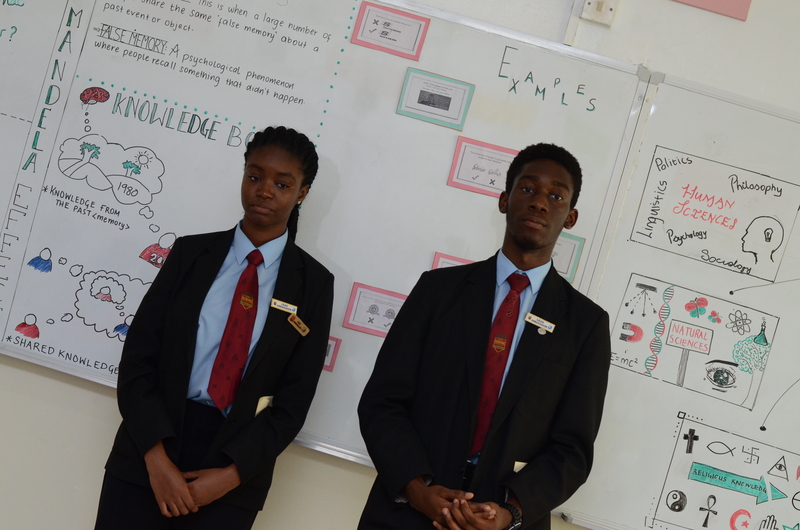 Students attending the sixth form college at Greensprings, use the thinking skills learnt to effectively answer questions and communicate with people. The teaching of thinking Skills plays a crucial role in the teaching of the IB programme at Greensprings. 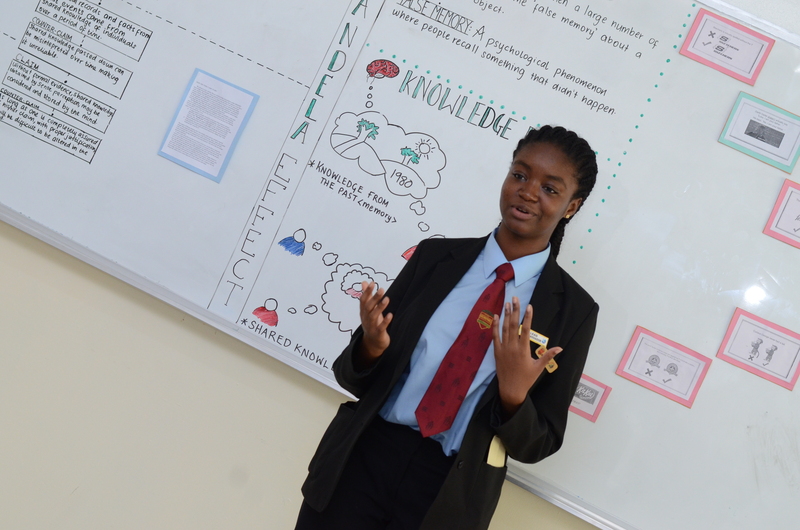 Students at the school exercise their initiative in applying thinking skills critically and creatively to recognize and approach complex problems and make reasoned ethical decisions. Thinking skills are the mental activities you use to process information, make connections and create new ideas. You use your thinking skills when you try to make sense of experiences, solve problems, ask questions, make plans, or organize information. At the sixth form college at Greensprings, teachers teach students cognitive and strategic thinking skills. Cognitive thinking skills, this is where students are taught how to analyze data and calculations. While strategic thinking involves planning, monitoring and assessing the use of the cognitive skills highlighted above. Sixth form students giving a presentation using the thinking skills map. If you are in doubt about what to do after secondary school, consider enrolling your child to a sixth form college in Nigeria. However, these are for those interested in studying abroad for their university education.